New Delhi : India has unveiled a new military doctrine that keeps the options open for surgical strikes in response to “terror provocations”, indicating the government was not averse to precision attacks similar to last year’s cross-border strike on militants in Pakistan-occupied Kashmir. The doctrine has been put together by the Headquarters Integrated Defence Staff, a tri-service entity. 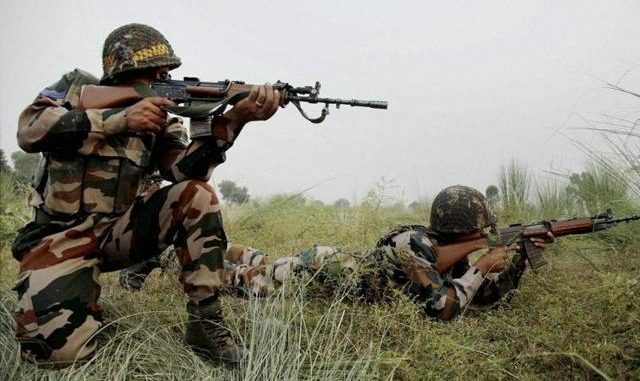 India’s special forces carried out surgical strikes against militant camps in Myanmar in June 2015 followed by targeted operations against militant launch pads across the Line of Control (LoC) the following year. Both strikes had the backing of the Modi government and India’s muscular response was announced to the world. “The possibility of sub-conventional escalating to a conventional level would be dependent on multiple influences…politically-determined conflict aims, operational circumstance, international pressure and military readiness,” the new doctrine states. The doctrine corroborates the hardened posture adopted by the political and military leadership after the September 2016 surgical strikes, carried out in response to a series of attacks on defence installations by suspected Pakistan-based militants. In January, army chief General Bipin Rawat said India would carry out more precision strikes on militant bases across the LoC if Islamabad rejects New Delhi’s peace overtures. Rawat said India had made an offer of “peace and tranquility” to Pakistan but if it did not reciprocate. “This method of execution of operations will continue”. Last year, then defence minister Manohar Parrikar had also said the surgical strikes had injected “uncertainty” into Pakistan’s mind as the neighbour was no longer sure how India would respond to terror attacks. Pakistan, however, rubbished India’s claim as a “figment of imagination”. Navy chief Admiral Sunil Lanba, who is also the chairman, chiefs of staff committee, released the doctrine on Tuesday.